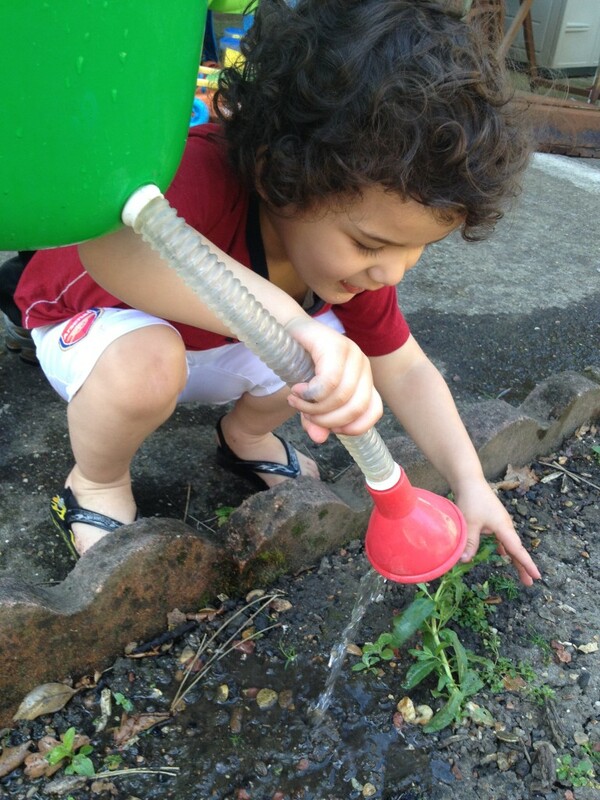 We love spending time in the garden in the summer, little man really enjoys watering the plants – it’s a great excuse to play with water while undertaking a very important task! As a biologist, I love plants and nature and I am teaching little man to look after the environment. Recently I have shared our experience on Growing Beans with Children, and little man really enjoyed. Besides the fun, gardening is great for children, as it enhances their social skills, alertness and concentration levels. Since we planted our beans, little man has got more into gardening. We have been planting a few different seeds lately. First we planted some sunflower seeds, little man had a lot of fun using the expanding compost discs and seeing it grow once he added water to it. He also enjoyed carefully placing the seed in the pot and watering daily. 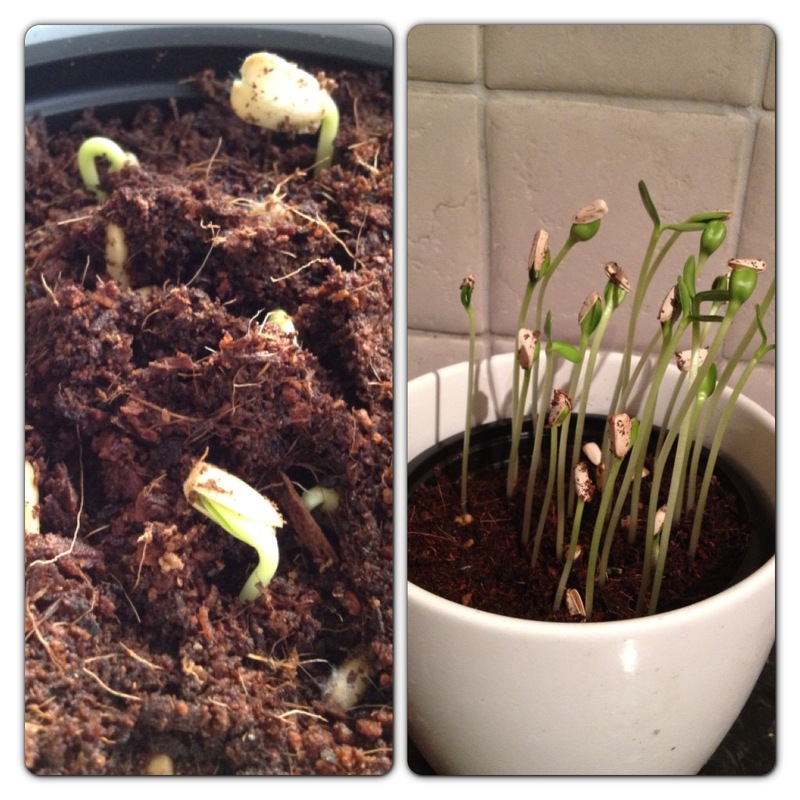 Every morning, he would check his sunflower pot to check whether the seeds germinated. He was so happy when they started growing and, as the weather warmed up, they were growing even faster. We have also been planting some lentils. 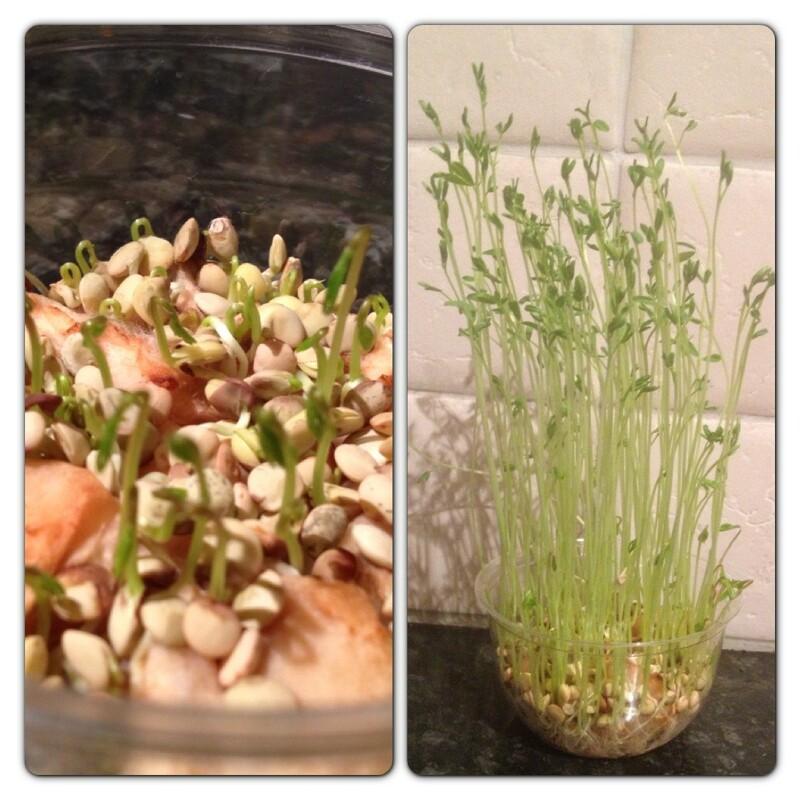 Little man placed lots of lentils on top of four cotton wool balls and they grew into very tall little trees. I honestly didn’t think all the lentils would germinate, but they did and we now have a very crowded container full of little lentil trees. From our experience planting lentils, we learnt that we should only add a few seeds to each pot next time. Our third project is growing tomato seeds. We have only just started a couple of weeks ago and they were planted on recycled yogurt pots, showing that you don’t need anything fancy to grow plants. You can make your own seeds by drying the seeds from the middle of fresh tomatoes, then plant them on yogurt pots. 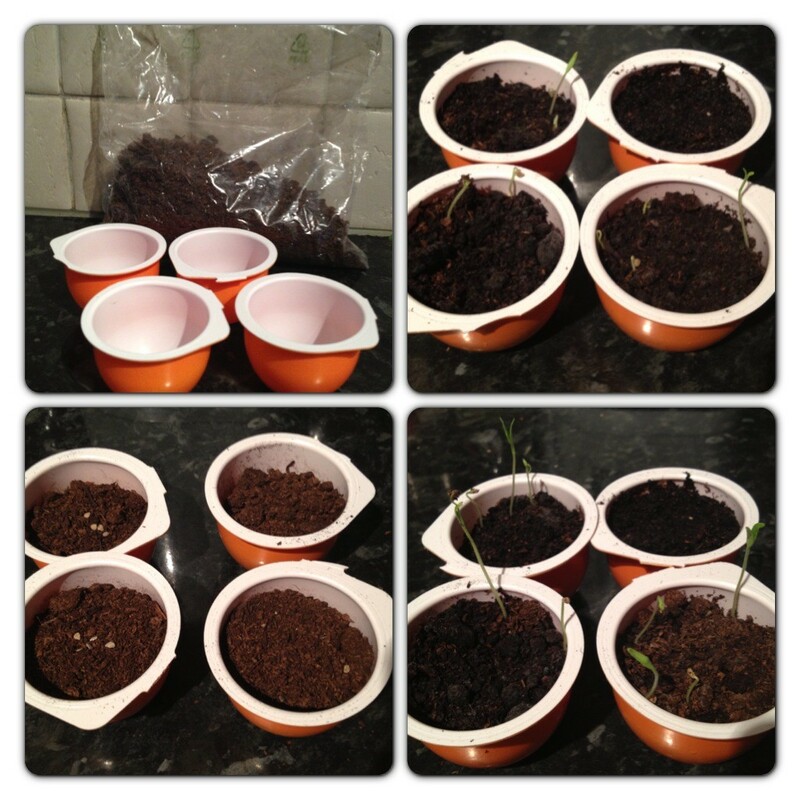 We learnt our lesson and only placed a few seeds on each pot this time. Little man was happy to see that the little tomato plants are already a few inches tall. We’ve been having lots of fun planting seeds, we can’t wait for them to grow so we can move them outside to the garden. I believe children should get involved with planting and having some gardening fun. It is important to play outside and have some fresh air, instead of being indoors playing with games. 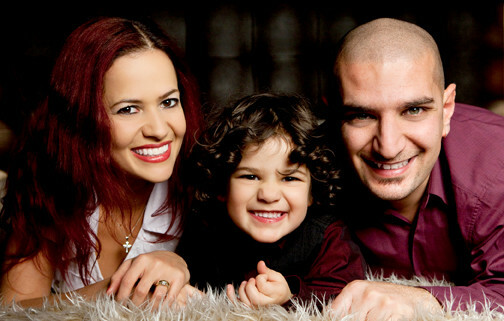 Now that little man is really into gardening, we will start planning more vegetables and herbs! It’s a lovely therapy and we get to spend quality time together. So what are you waiting for? Happy Gardening! 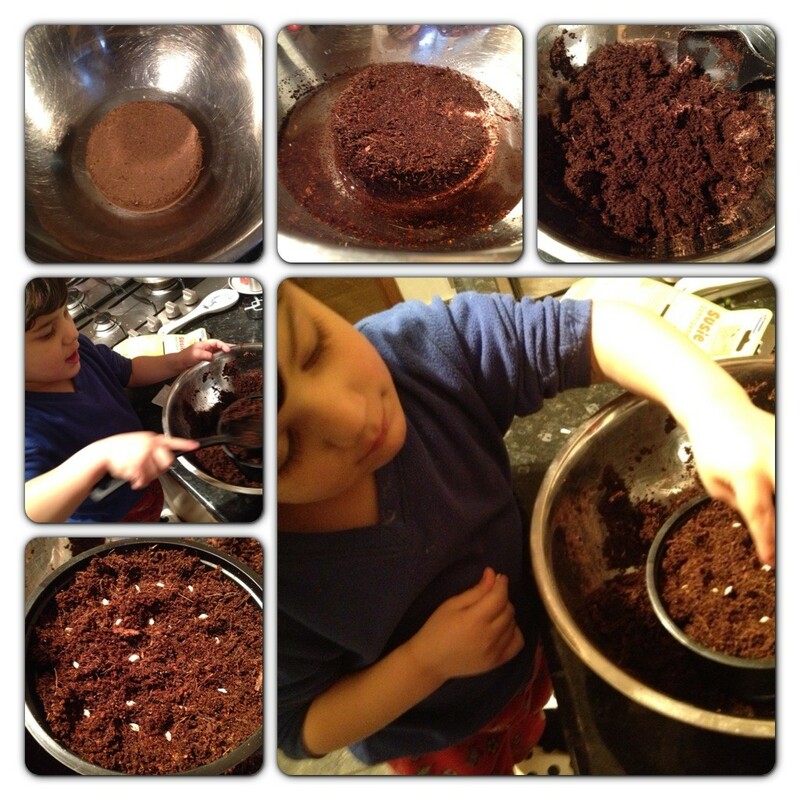 9 Responses to "Gardening Fun: Planting Seeds with Children"
Great post!! Love doing this this time of year!! Isn’t it great to see our little ones so interested in what we do? My little (2yr old) boy planted daffodils last year and when they started to pop out from the soil he would ask to go out and see them every day.